Just because the court orders your spouse to do something in your divorce, doesn’t mean it will get done. Unfortunately, it is common that child support or spousal support is not paid, or access is not granted when it is supposed to be. You can enforce this on your own. However, the legal fees in doing this can be expensive. To save legal fees, normally people let the Family Responsibility Office enforce their child support or spousal support orders. If your order is not already filed with the Family Responsibility Office, filing it is the first step to getting it enforced. Normally, the Family Responsibility Office will enforce child support or spousal support payments through garnishment of your spouse’s pay cheque. In addition, the Family Responsibility Office has a number of powers at its disposal, such as revocation of driver’s licences and passports, that they use to collect support. Applying to have your spouse found in contempt of court is an option if he or she breaches a non-monetary order. So, you can’t find someone in contempt of court for failing to pay you money. 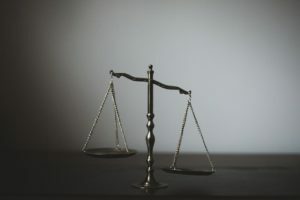 Examples of when contempt of court is available are denials of access, failure to provide financial disclosure, breach of a restraining order, and failure to designate life insurance beneficiaries. This can be enforced several ways. One way is a garnishment of your spouse’s salary. Another way is a writ of execution on a property owned by him or her. The writ of execution allows the sheriff to seize and sell the property, with the proceeds going to you. Yes, normally court orders include a provision that interest is payable on the amounts owing. There are reciprocal enforcement arrangements between the provinces, American states and many foreign countries. You can file your separation agreement with the family court. You don’t need to start a court action to do this. Once the separation agreement is filed with the court, it can be enforced as a court order, either by you or by the Family Responsibility Office.